Rev Robert Lee Watson Jr. is the proud husband to Barbara S. Watson; and they have been married for Twenty One years, he is the father of Laura, Psalms, and Robert Lee Watson III. He is the grandfather of Azariah Watson, whose father is Robert Lee Watson III with another grandchild, on the way in December 2012. He served in the United States Army for twenty years and retired with an Honorable Discharge in 2004. 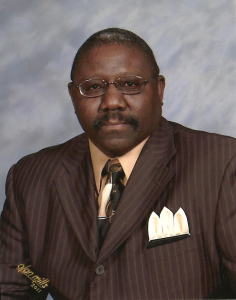 He was licensed in 2005 to preach the Gospel by Bethlehem Baptist Church and ordained as an Associate Minister in Bethlehem Baptist Church in 2008 by Rev. Dr. Freeman S. Rhoades. I believe everyone knows that Harvey Brooks was promoted to Vice President of NABVETS and Lloyd Burroughs was promoted to Regional 1 Director at the National Convention. An election will be held on Saturday December 1 to fill the Washington State Commander’s Position. Amazing Grace Veterans Day Tribute ( click on youtube/watch ) and please share with other veterans in your area.